Prime Minister Perry Christie has said that the original developer of Baha Mar, Sarkis Izmirlian, is not among the final bidders vying to operate the stalled resort, but that significant headway was being made in getting the property completed and open for business. Watch a ZNS Network news report here. Prime Minister Perry Christie has said that significant headway was being made in getting the Baha Mar property completed and open for business. The Bahamas International Securities Exchange (BISX) has announced the listing of four new funds. 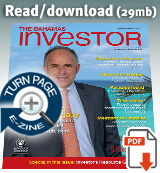 Download the Trading Notice PDFs here. Ambassador of the People’s Republic of China to The Commonwealth of The Bahamas Huang Qinguo paid a courtesy call on the Minister of Financial Services Hope Strachan at the Ministry June 21, 2016.